Voting for the prestigious T3 Awards has opened, and the headline awards will see giant products from Apple, Samsung, HTC and Sony facing off to win themselves a gong on 3 October. The longlists serve as an exciting glimpse into what the movers and shakers of the past 12 months of tech have brought and its no surprise to see the likes of Google Glass, the Samsung Galaxy S4 and the Sky+ HD 2TB all getting a nod. 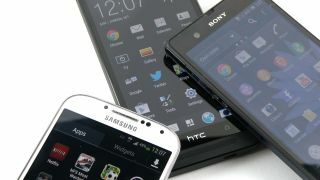 TechRadar readers are always heavily invested in the Smartphone of the Year category and with the site's UK Editor-in-chief Patrick Goss once again judging we'll be getting involved in the argument over whether the S4, HTC One, Sony Xperia Z or the Apple iPhone 5 deserve the plaudits. Gadget of the Year brings the Kindle Fire HD from Amazon, the iPad Mini and, perhaps surprisingly, the Wii U battling for supremacy with some other outstanding candidates, and there are new categories in the shape of Car of the Year and Tech Moment of the Year. T3 editor Luke Peters says: "With technology continuing to advance at a rate of knots and becoming more entwined with consumers' everyday lifestyles, 2013 is going to be an exciting year for the T3 Gadget Awards. Cutting-edge products, brands and people need to be recognised and our industry-leading event is the perfect showcase for that." With a 175-strong longlist of nominees across 17 categories (with two special Awards to be given on the night), voting is now open at http://www.t3.com/awards. The pared-down T3 Gadget Awards 2013 Shortlist is to be announced on 18 July when, after intensive judging, each category will be stripped to six, apart from Gadget of the Year, which will drop to 10. The final winners are settled by a final round of voting by readers and T3's own judging panel of eight, and will be announced at the T3 Gadget Awards 2013 ceremony at Old Billingsgate, London on 3 October. Here are two of the biggest categories, but make sure you check out all the awards and candidates and cast your vote.